Speaker Paul Ryan on behalf of the US House of Representatives has condoled the death of an Indian techie in a racially-motivated shooting by an American. WASHINGTON: Speaker Paul Ryan on behalf of the US House of Representatives has condoled the death of an Indian techie in a racially-motivated shooting by an American. Ryan met visiting Foreign Secretary S Jaishankar yesterday and expressed the House's condolences on the death of Srinivas Kuchibhotla, who was senselessly murdered last week in Kansas. "Our peoples must continue to stand together," he said. 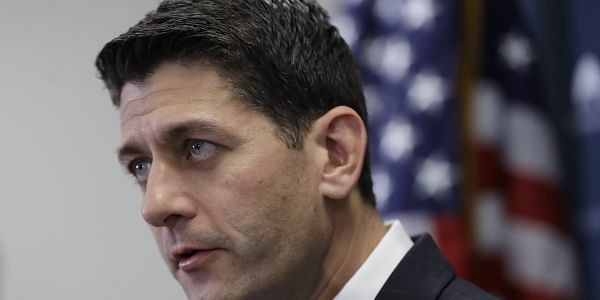 Ryan's comments over the incident came hours after US President Donald Trump condemned as "evil" and "hate" the fatal Kansas shooting in which Kuchibhotla was killed and another Indian Alok Madasani was injured by navy veteran Adam Purinton, who yelled "terrorist" and "get out of my country" before opening fire on them. The two work for technology firm Garmin. Jaishankar is currently visiting the US to hold consultations and talks with Trump administration officials to develop a roadmap of the Indo-US ties for next four years.